Office Location: Potsdam, Germany. Employees can also work full time from this office. Millions of people experience real-life adventures with our apps. We help users all over the world discover the best hiking and biking routes, working to empower everybody to explore more of the great outdoors. And we’re good at what we do: Google and Apple have listed us as one of their Apps of the Year numerous times — and we are consistently ranked amongst the highest-grossing apps in both Google Play and the App Store. To help us continue to grow, we’re looking for an experienced software engineer who appreciates well-crafted and unit-tested code and knows how to deploy and monitor services in production. But that’s not all. We’re looking for someone who welcomes data challenges and tackles these head-on; finding and implementing the best solution through effective research and evaluation. Someone who understands that no single solution is perfect, accepting instead that it’ll improve with every optimization iteration. Sounds familiar? Then komoot is the place for you. We are looking for an experienced backend engineer to help us solve a range of challenges, including image quality classification, the matching of user-generated content with open data, e-bike battery level predictions and the improvement of our recommendation systems. Implement new features closely together with our web and mobile developers, designers, copywriters and product managers. Develop and tune algorithms to leverage our content recommendation, rankings, content analyses and product smartness. Build new and improve existing micro-services, primarily in Java/Kotlin and Python. Use the AWS ecosystem to build resilient and high-performing systems. You’ll work on a global product that inspires millions of users. You’ll get system access on your first day, as we know you are a smart and responsible engineer. You’ll take ownership over your projects from day one (from concept to implementation; testing, deployment and monitoring). Your challenging tasks will keep improving your skills and keep you up-to-date with the latest technologies. We have a wide range of diverse challenges, in particular in the GIS domain. We believe good ideas count more than hierarchies. You’ll work together with enthusiastic engineers, hikers and cyclists. You’ll travel together with our team to amazing outdoor places several times a year to exchange ideas, learnings and go for hikes and rides. We let you work from wherever you want, be it a beach, the mountains, our headquarters in Potsdam or anywhere else that lies between the time zones UTC-1 and UTC+3. Are highly self-driven, responsible and keen to learn and improve. Know your toolkit: git, ssh, bash, junit, jenkins and docker. Possess professional experience in Java and Python. Have demonstrable knowledge of common algorithms within the machine learning and statistics space. Love to tune, test, simulate and evaluate solutions to unusual problems. Live and breathe DevOps and believe in automated testing, infrastructure as code, continuous deployment, monitoring and open communication. A write-up explaining who you are and why you are interested in working at komoot. Examples of your work (e.g. GitHub, PDFs, Slideshare, etc.). Something that shows us a little more about what you’re interested in, be it your Twitter/Kaggle account or your blog. 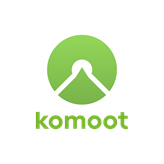 Komoot is the world’s leading outdoor app. We offer modern explorers best-in-class tech so that hikers and bikers have topographic maps, turn-by-turn navigation, recommendations on cool places and more at their fingertips. The world’s leading outdoor app, komoot hires the best folks to do what they love. Have a passion for the great outdoors and an ability to get things done? You might be the superstar we’re searching for. Want to get notified about new jobs at komoot?